Posted On: April 15th, 2019 Filed Under: Windows No Comments on Windows in pane? When to repair, and when to replace. Do your windows have ongoing problems? An occasional window repair makes sense from a time and cost perspective. 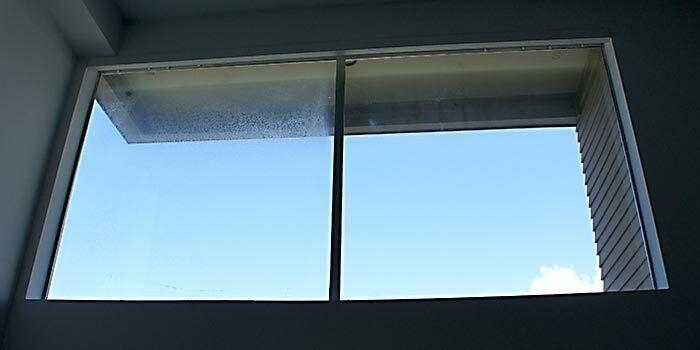 Frequent window work, such as continuously removing condensation between panes, painting wood frames, or fixing drafty windows is another story. If you regularly find yourself opening your wallet simply to open your windows, it might be time to consider replacing them. How do they affect day-to-day comfort? For homes with single-pane windows, winters can be especially frigid, and summers frequently unbearable. Double-pane vinyl windows are budget friendly and energy efficient, as they help block the heat in summer and contain it in winter. Plus, they’re more resistant to condensation. Whether you’re shivering due to icy drafts and cold-to-the-touch glass, or melting in the beaming rays and stagnant heat, vinyl windows are an attractive option to make your home more comfortable and efficient year-round. How feasible is window repair? If you have the time, patience, and experience, your windows might be repairable. Minor (and quickly attended) rot can be patched with epoxy and small drafts can sometimes be eliminated with fresh caulk and new weather stripping. If you live in a historic home, with original or era-specific glass or window frames, repair is probably the best option, as replacing them can affect the home’s overall appeal and resale value. Ultimately, the best way to fix problem windows is to prevent issues before they start. Each year before the winter season, check your windows for seal breaks, rot (if wood framed), condensation, drafts, and broken hardware. Preserving your windows might be as simple as purchasing a tube of caulking or weather stripping. You may also find that professional repair or replacement is necessary. In any case, complete the work before the issue results in heat and energy loss. Still not sure what to do? Feel free to give us a call to discuss your options. Our residential window experts will work closely with you to find the right solution for your unique home, style, and budget. After all, windows should provide light and a view of the world—not become a source of headaches. Posted On: August 20th, 2015 Filed Under: Windows 7 Comments on Windows in pane? When to repair, and when to replace.